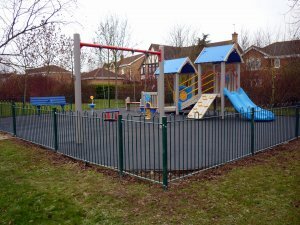 The Council is responsible for the play equipment installed on the Recreation Ground, Sandyhome Road, The Shires and Belle Baulk. There is also an equipped skateboard area on the Recreation Ground. The Council's Recreation & Leisure Committee will consider any requests for play equipment on their open areas. All play equipment is inspected on a weekly basis and R.O.S.P.A. carries out a details inspection once a year.